Having led a merger committee that resulted in a successful merger with another nonprofit, I thought my field observations might be of interest to others contemplating a merger. These comments center on a merger of two equal partners, which plan to form a new organization, not the acquisition of one nonprofit by another. 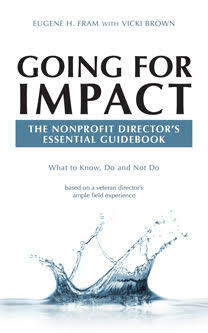 •	Are the mission, vision and values of both organizations the same or sufficiently similar? •	Are there any financial issues that might cloud the negotiations? •	Do the two merger committees work well together and view each other positively as potential colleagues? •	Are both groups willing to invest the board time and financial resources to bring about a melding of the two groups? •	Are there any factions in either of the two organizations that might be emotionally opposed to the merger? •	What, at this early stage, might be some barriers (“deal breakers”) to the merger? •	What needs to be done to move the merger process forward and to develop an implementation plan, if both boards agree to the merger? •	How will the impact of the merger be determined and at what intervals will it be measured? •	In the event that either or both organizations are dissatisfied with the merger, what specific detail need to be specified in a “prenuptial” breakup agreement? •	How will the CEO of the merged organization be determined? •	How can morale of both organizations be maintained during merger discussions? •	Consider various stakeholders who might be impacted by the merger. (These can include: community leaders, managers, staff, funders, media, etc.) How can consensus be achieved? •	Where will the new nonprofit be physically located? What are the real estates implications? •	The combination will probably require layoffs and new reporting arrangements. How will these be decided? •	How will the new board be constituted? Will a larger new board be necessary? If not, what is the plan for paring down the size of the new board. •	What legal counsel will be needed and at what costs? Will foundation support be needed to establish the merger? •	What systems or interpersonal relationships are necessary to avoid “surprises” before or after the merger? The failure of the AOL-Time Warner merger has become a classic example of the failure of the two cultures to blend into a new culture. I have observed that blending two nonprofit organizations will certainly encounter cultural “bumps in the road,” starting about six months after the merger and can continue for several years. Although the mission, vision and values of both groups may be identical, culturally inspired blips can arise from differences in which previous boards operated, from expectations of the CEO, from staff differences, etc. However, they do take time, persistence and board leadership to resolve. Any merger will have its own specific imprint. However, I hope that the guidelines cited above will be helpful in navigating the rough shoals that frequently appear after the honeymoon period.